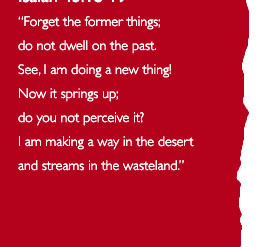 Citywide Renewal - "A New Thing"
1. 2003 OCTOBER 4 "A New Thing"
2. 2004 APRIL 10 "Passion Generation I"
3. 2004 JULY 1 "Passion Generation II"
4. 2004 SEPTEMBER 19 "Passion Generation III"
5. 2004 DECEMBER 19 "A CHRISTMAS PASSION"
6. 2005 May 15 "A GLOBAL DAY OF PRAYER"
7. 2005 December 2 "CITYWIDE PRAYER FOR HK"
8. 2005 December 24 "A CITYWIDE CHRISTMAS CELEBRATION"